Need to increase your milk supply? 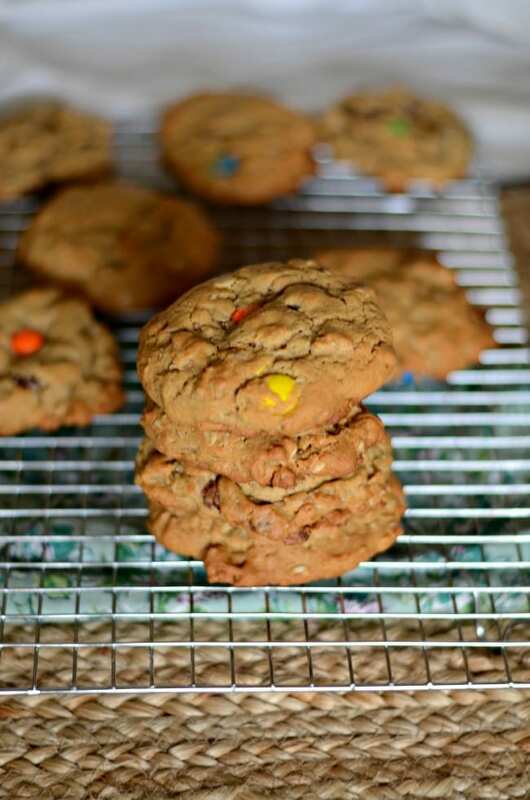 These monster lactation cookies are made with oats, brewers yeast, peanut butter, chocolate chips and M&Ms. You will love them! Hey there mama! 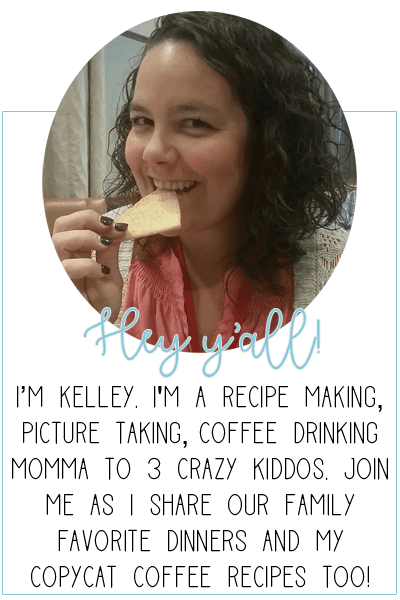 I’m going to tell you a little secret – I love lactation cookies! It all started when I was googling lactation recipes before Ryder was born. I wanted to have something that would increase my milk supply since I struggled with nursing my older two kiddos. I went down a rabbit hole of information and found out the things that would increase your milk supply naturally. Yesss. I love that. I’m all about going the natural route and if I’m being completely honest, I’m a little bit crunchy. I hope to share some of the information with y’all today and also provide a totally delicious lactation cookie recipe. These monster lactation cookies may be my favorite lactation recipe yet! 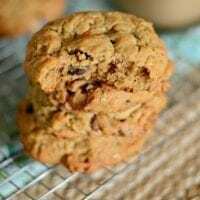 What is the purpose of lactation cookies? The main purpose of lactation cookies is to naturally increase a breastfeeding mother’s milk supply. When I was researching, one of the main reasons that a milk supply can be low is due to low iron. This is not the case for all mamas, but I know that it was in mine. I have also had low iron and have been anemic most of my life so low iron had a huge impact on my milk supply. The good news is that lactation cookies are full of iron and good fats that are able to help increase milk production. 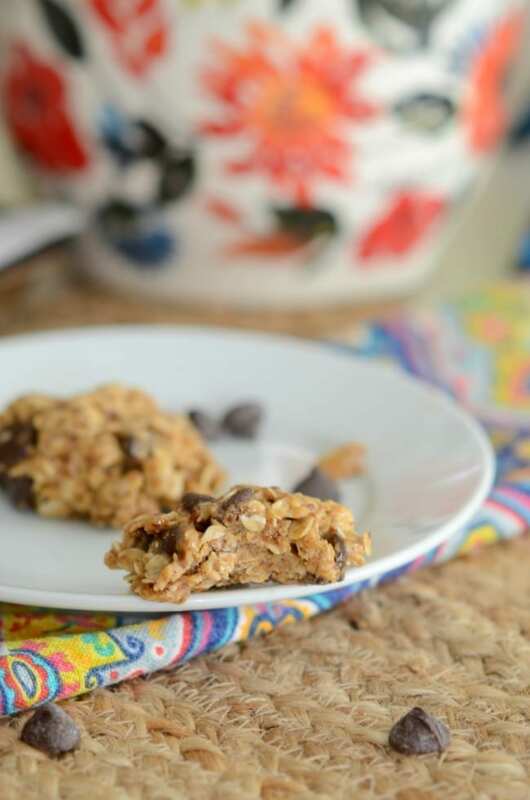 Plus, nursing mamas need the extra calories so why not enjoy a lactation cookie that can help with your milk? It’s a win-win. What are the active ingredients in lactation cookies? Oats – are a great source of iron and help increase a nursing moms iron levels. Oats can also be known to help decrease cholesterol too. This is a great article of why oats help increase milk supply. Ground flax seed – is full of Omega 3 fatty acids and fiber. Flax seed has been found to lower cholesterol, blood pressure and helps keep you full due to high amounts of protein. Brewers yeast – is packed with fiber and vitamin B. It helps with blood sugar levels, to boost your immunity and aids in anemia. There are also a host of other benefits to using Brewers yeast in your diet. Peanut butter – is full of protein and helps keep nursing mamas full for longer. The higher quality of the ingredients, the better the lactation cookies will turn out. Another great thing about these cookies is that they are super easy to make. There is no extra special steps that you have to take to make these monster lactation cookies at home. You do have a few extra ingredients compared to normal cookies, but they are what help to increase milk supply. To make these cookies you start by creaming the butter and the sugars together. You do this by either whisking, using a handheld mixer or a KitchenAid type mixer to combine the three ingredients. You want to fully incorporate the softened butter and the sugars. You need to whisk in the peanut butter as well. You can soften it slightly in the microwave before adding it in. You don’t want it watery, just slightly warm and more pliable. Microwave in 5 second intervals. Your eggs are added in next along with your vanilla extract. Next you add your dry ingredients. You can either mix everything together in a separate bowl or mix them together in the bowl with the wet ingredients. I normally just add everything together in the same bowl to save on dishes. Fold everything together to form the dough. Your dough should be slightly tacky but not so much that it’s sticking to your hands. The chocolate chips go in last. At this point you can either cook the dough right away, put it in the fridge for use within 24 hours or freeze it for baking later. If you want to freeze the dough you simply pace the rounds of dough onto a cookie sheet. Place in the freezer for 2 hours until hard and then transfer to a ziplock baggy. 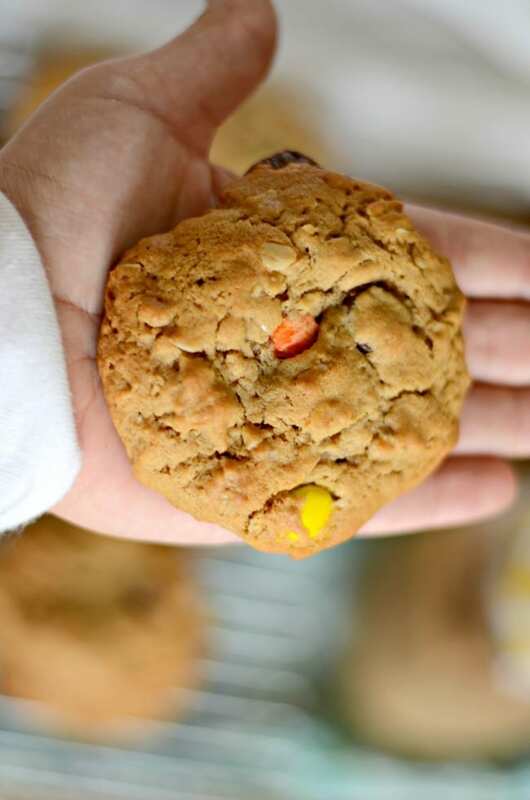 These monster lactation cookies and any of my other lactation recipes make great new mom gifts! And don’t worry, these cookies are great for EVERYONE! The ingredients help breastfeeding mamas but they don’t affect anyone else. They are a great treats for the whole family. 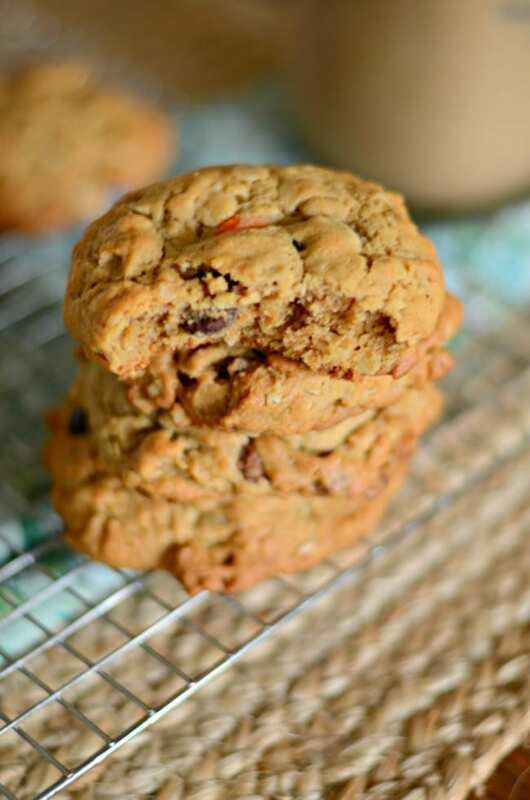 Monster lactation cookies that are full of peanut butter and chocolate chip goodness! Mix together the butter and the sugars until fluffy. Add in the eggs and vanilla and mix well. Whisk the peanut butter into the wet ingredients. In a separate bowl, mix together the flour, baking soda, salt, ground flax seed, brewers yeast and oats. Pour the dry ingredients into the wet and fold together. Add in the M&Ms and the chocolate chips. To make larger cookies - place 1/3 cup of rounded dough on a cookie sheet. Bake for 12-15 minutes OR until the edges are golden brown. 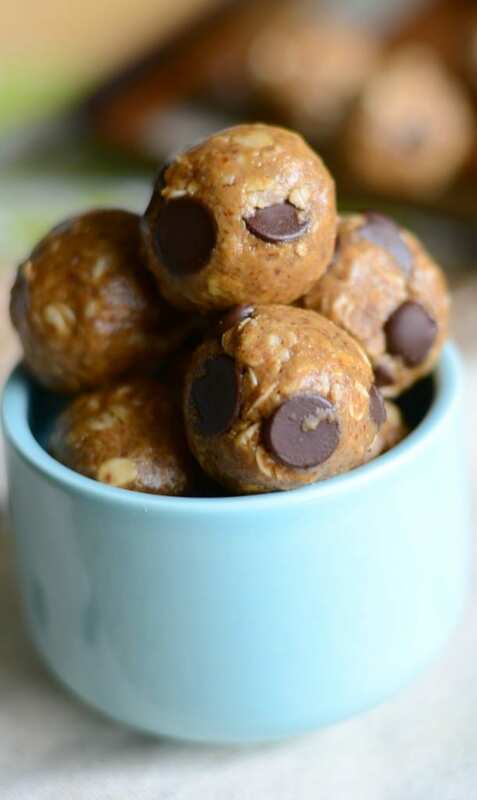 To make smaller cookies - place tablespoon size balls of dough on a cookie sheet and bake for 10-12 minutes OR until the edges are golden brown. To help increase milk supply eat one to two cookies a day. To freeze the dough - place rounded dough on a cookie sheet and place in the freezer for two hours. Once frozen, remove, place in ziplock bags and place back in the freezer for later use.